The MTA commuter railroad is working without assistance from an agency as it responds to the fatal accident. NEW YORK: MTA Metro-North Railroad’s internal communications team is focusing on providing assistance to families affected by Tuesday night’s train crash in Westchester County that claimed at least six lives and injured 15. On Tuesday night at about 6:30 pm, a Metro-North train hit an SUV stuck on the tracks in Valhalla, New York, resulting in the worst accident in the history of the commuter line and its second deadly incident since December 2013. The crash affected commutes for thousands in the New York Metropolitan Area through Wednesday afternoon as Metro-North’s Harlem Line is shut down while authorities investigate. Metro-North and the MTA have directed those affected by the crash to a phone number for a family-assistance center set up by the organization. Family assistance for those with loved ones affected by @MetroNorth accident. Mount Pleasant Town Hall, Valhalla. 1-800-METRO-INFO. Railroad spokesperson Meredith Daniels told PRWeek that Metro-North’s internal press office has been "working around the clock" since the incident occurred. She said no external PR firms are providing communications assistance after the accident. "We are really just providing as much information as we can, and obviously we are saddened by this and our hearts go out to all the families affected," Daniels said. "This is a tragic incident that you don’t want to have to communicate about, but unfortunately, you do." The MTA has posted updates on the number of fatalities and injuries on its website, along with service updates and plans. 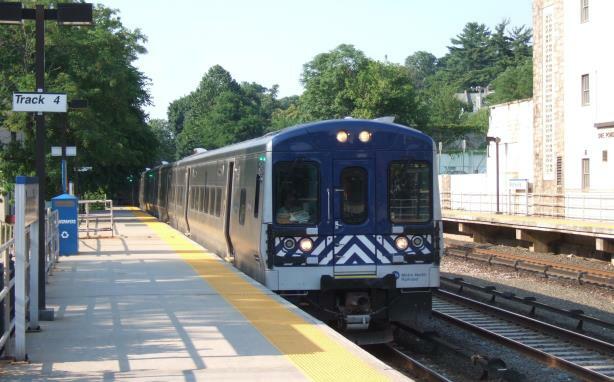 The MTA and Metro-North have linked to the notifications on Twitter. The MTA also posted an image of passengers using alternate service. Daniels explained that in some cases, the railroad has to wait for federal investigators to release information. "We are trying to get information out to the media, but a lot of this rides on the NTSB investigation," she said. "There is information we can’t put out there until it is confirmed by the NTSB; they set the protocols for service and what their findings are." The National Transportation Safety Board, New York Governor Andrew Cuomo, and MTA Chairman Thomas Prendergast held press conferences about the accident on Wednesday morning. The NTSB has launched an investigation into the crash that is expected to last a week. The tragic crash of the MetroNorth train is a painful reminder how precious life is, and my prayers are with those who lost loved ones. In December 2013, a Metro-North train derailment left four passengers dead and 75 injured. That accident marked the fifth derailment that year for MTA. The MTA formed a rail-safety panel in September 2013 to review the issue. Last October, the MTA hired a former NTSB official to serve as its chief safety officer after a string of incidents on its commuter lines.